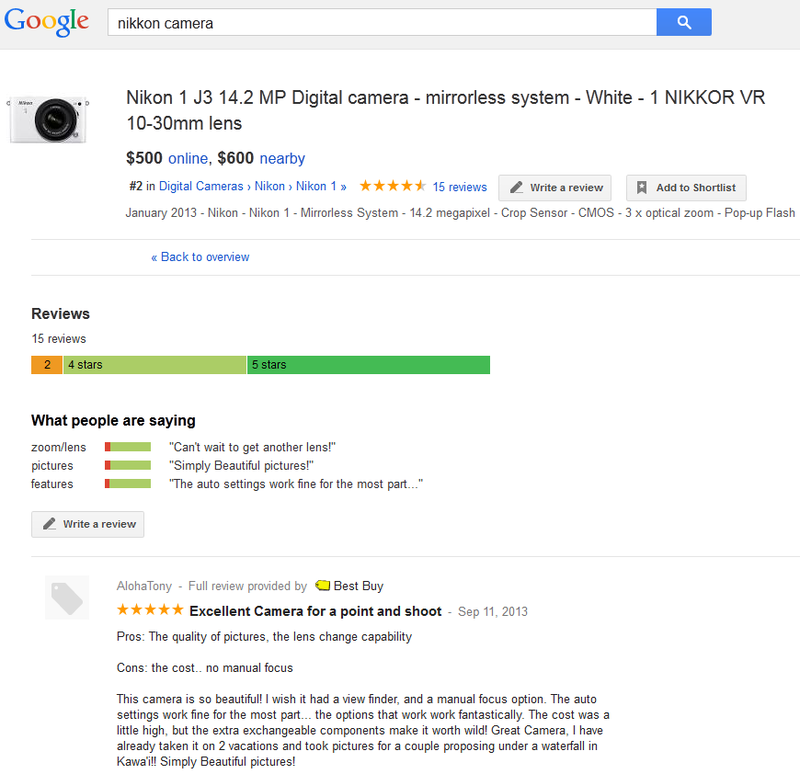 Will Google's incorporation of user reviews in advertisements pay off? Shared Endorsements are the latest in a line of updates that bring user reviews and ratings into the Google results. Announced earlier this week and coming to the SERPs in November, the newly expanded shared endorsements will allow reviews and +1’s from Google+ profiles to appear in the paid search results (not just organic). This allows Google to provide the social proof of user reviews and ratings – something users/consumers value highly – without requiring those reviews to have originated on a Google property. With the new shared endorsements, Google is again expanding the pool of businesses that can include ratings and reviews in their ads and making it easier and more automatic. Go to the Shared Endorsements setting page. 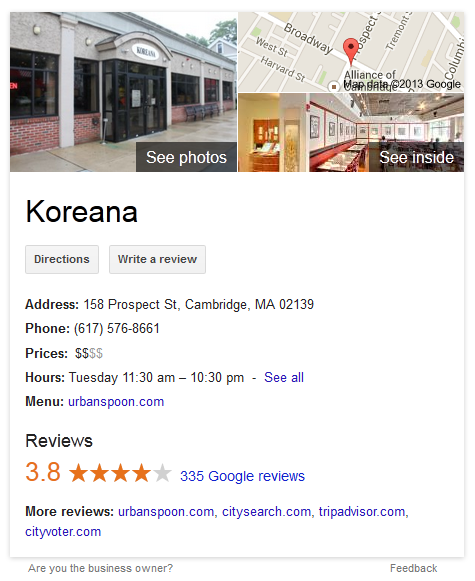 Of course the spin from Google is that reviews are helpful to users – and it’s true, they are. But that’s not all: Like all ad extensions, reviews in ads increase click-through rate. I estimate that these reviews will boost ad CTR’s by 6-8%. Extensions like this reliably raise click-through rates for a number of reasons – they make the ads bigger and more attractive, they give people more links to click on, they provide more information than you can get in just two lines of text … you get the idea. The most leverage in this equation (given that CPC is impacted by other factors, such as competition) comes from CTR improvements. Shared endorsements will also impact conversion rates – since additional information is communicated to users prior to the click, they have a better understanding of the offering when they get to the site or landing page, so they’re that much more likely to convert. Like the images and price information in Product Listing Ads, ads with review information will be highly attractive to the search engine users with the most intent. This is a big deal for advertisers, especially if they can get trusted reviews to appear consistently on their ads. The new shared endorsements in Google will be good for everyone – almost. They’re good for users because they provide crowdsourced information to help them make purchasing decisions. (And not they’re just the opinions of random strangers, they’re people you know.) They’re good for advertisers because they increase both click-through and conversion rates. And they’re good for the Googs (duh) because high CTRs put more money in Google’s pockets. If there’s a loser here, it’s (surprise, surprise) organic search. If your business appears in the organic listings but not in the paid results, you’ll be competing with rich ads that are higher up on the page. This is similar, again, to how Google has tricked out the PLA’s so that the organic listings can’t really compete. My prediction? Shared endorsements will work, big time.